Last week I attended the Valuation Roundtable of San Francisco’s 26th Annual Seminar with keynote speaker Aswath Damodaran, Ph.D. Damodaran is a highly respected Professor of Finance at the Stern School of Business in New York University. During the event, Damodaran went over what I thought was the most interesting topic of the day - the myths around valuation. It was eye opening to see how many variables can affect a business valuation. Truth: All valuations are biased. The only questions are how much and in which direction. Truth: The direction and magnitude of the bias in a valuation is directly proportional to who pays the valuator and how much that valuator is paid. To expand on this myth, Damodaran gave an example of a recent company acquisition. According to him, the buyer hired a valuation firm to determine the value of the intended acquisition while the seller hired their own firm to do the same thing. When the two firms came back they presented significantly different results. In the end a third party was brought in and conveniently landed with a number right in the middle of the first firms numbers. Truth: There are no precise valuations. Truth: The payoff to valuation is greatest when valuation is least precise. Value estimates are projected with “everything is going to go as planned” in mind. There is no way to predict whether an outside occurrence will affect value three years down the road. There will always be a level of uncertainty so valuation professionals, even if completely off on their initial values, are never really “wrong” with their assessments. Truth: One’s understanding of a valuation model is inversely proportional to the number of inputs required for the model. Truth: Simpler valuation models do much better than complex ones. 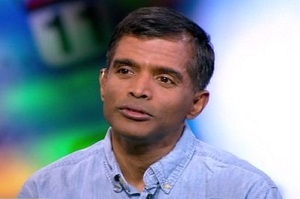 Damodaran says less is more. Complex models can lead to input fatigue and cause problems with the value outcome. He advises other professionals to aggregate and consolidate in order to make much more simple models to follow.